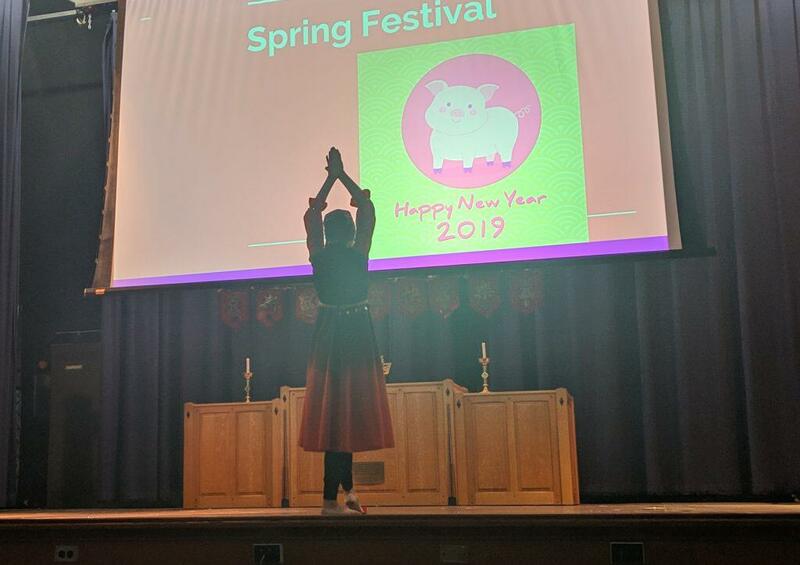 Continuing an annual tradition, The Doane Stuart School on Tuesday, February 5, celebrated the Chinese New Year with speeches and performances that educated students about the origin of the holiday and traditional and contemporary Chinese culture. Also known as Lunar New Year or the Spring Festival, the holiday is a major event throughout China and other parts of Asia. 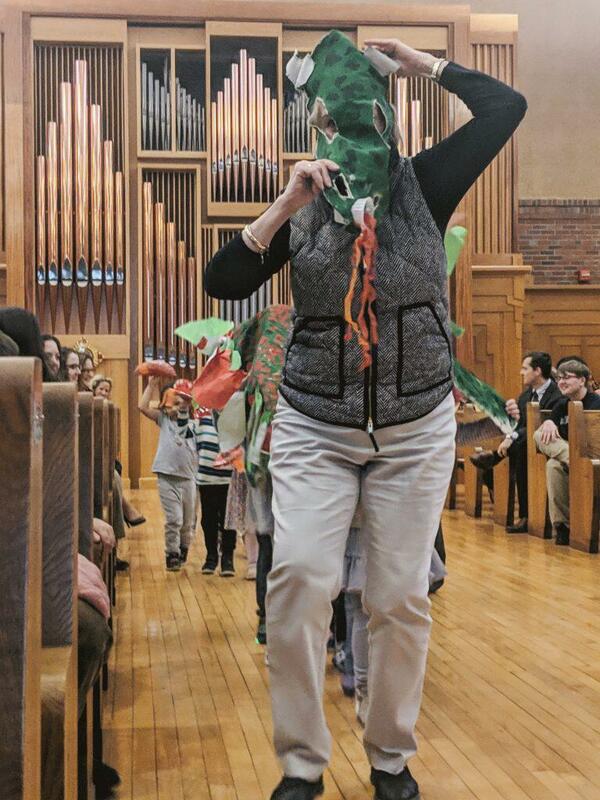 As always, the event began with Mrs. Cassant’s and Mrs. Stauder’s students parading through The Chapel dressed as a dragon. Numerous students participated in the celebration: Lintong ’23 performed an ancient dance while Ruby ’23 performed a modern interpretation of a traditional Chinese dance. Jackie and Olivia, both ’19, explained the purpose of the dragon dance and the origins of the festival while Frank ’19 highlighted the significance of the Chinese Zodiac. Austin ’20 discussed the symbolism and important role that food plays in the celebration. Afterward, students were invited to The Commons to sample the sweet dumplings associated with Spring Festival. For lunch, Chef Dave prepared an array of Chinese dishes.